If it isn’t broke, it is great – and fast! That’s the all-new Range Rover Sport SVR packing 550 horsepower and 502 lb-ft of torque, the fastest Range Rover yet. If a fast luxury SUV is your thing and you have $110,475 burning your pockets, then this is what you want. You can drift it too! Land Rover has today released sensational footage of the Range Rover Sport SVR being put through its paces. In the dramatic film, Mike Cross, Chief Engineer Vehicle Integrity, Jaguar Land Rover, demonstrates the adjustability, poise and outstanding body control of the fastest and most powerful Land Rover ever produced. 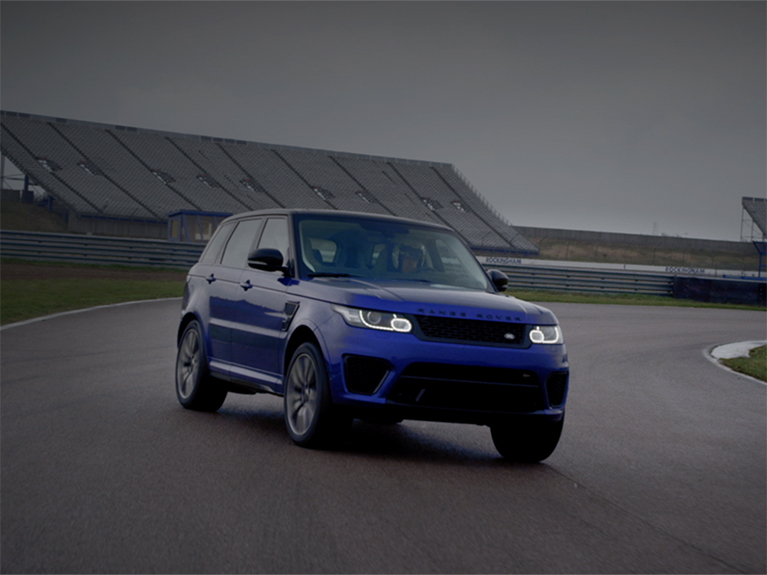 Mike explains how the Range Rover Sport SVR’s sophisticated drivetrain and advanced four-wheel drive chassis technology deliver supreme high speed handling characteristics as he laps the Rockingham circuit in the UK. The blisteringly fast SVR has been created by Jaguar Land Rover’s Special Vehicle Operations team and can accelerate from 0-60mph in 4.5 seconds. Power comes from a 5.0-litre supercharged V8 petrol engine developed to produce 550PS and 680Nm of torque. As this footage shows, the Range Rover Sport SVR takes this level of performance in its stride, displaying superb on-the-limit balance, even with its comprehensive range of electronic traction and stability aids turned off.